At this event, the local communities were invited to drop by and explore the many different altars that represented offerings to the lost lives of people from many different countries. Food and drinks were offered to the event guests as well as free sugar skull face paintings. 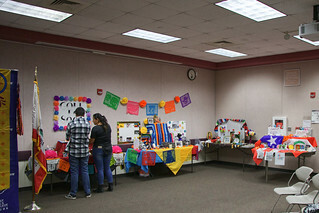 The event was rich in cultural representation, and had many people excited to learn about the ongoing tradition. Next time be sure to join in on the fun and visit on-campus events like this when they become available!